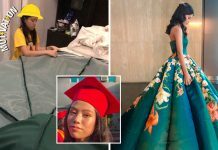 Unicorn is a legendary creature which is described as a beast that looks similar to a horse but with a large, pointed, and spiraling horn on its forehead. This creature is also sometimes depicted with colourful hair that makes it as one of favourite cartoon characters among little girls. 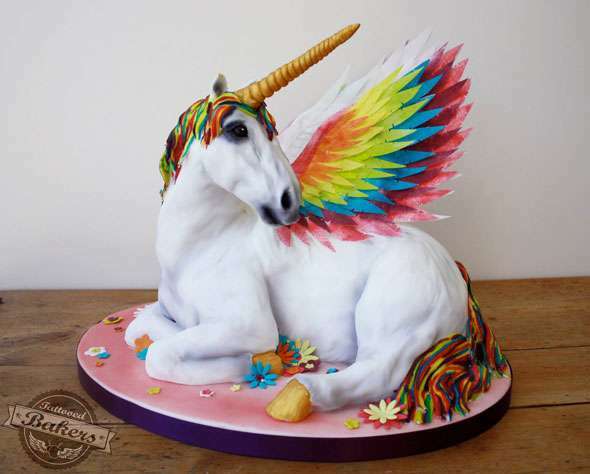 With its cute and bright-coloured feature, cakes in the unicorn shape also easily attract grown-ups! 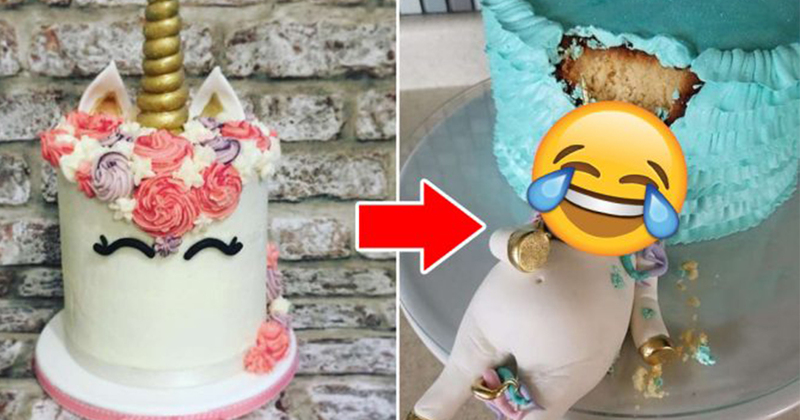 Due to its rising popularity in the past few years, a bakery in Puerto Rico had made unique unicorn cakes with a hilarious and eye-catching touch! 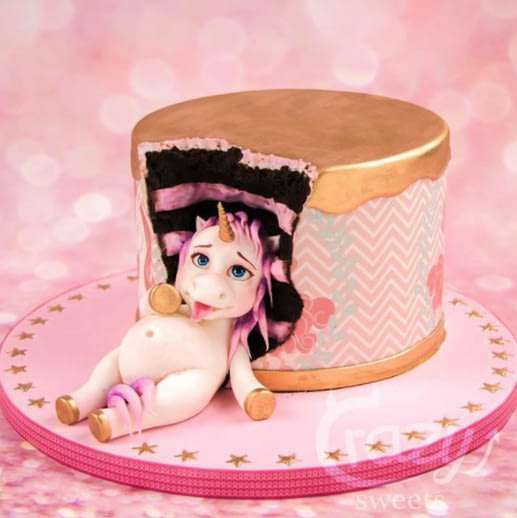 It is absolutely an amazing idea to add a storyline to these cakes. 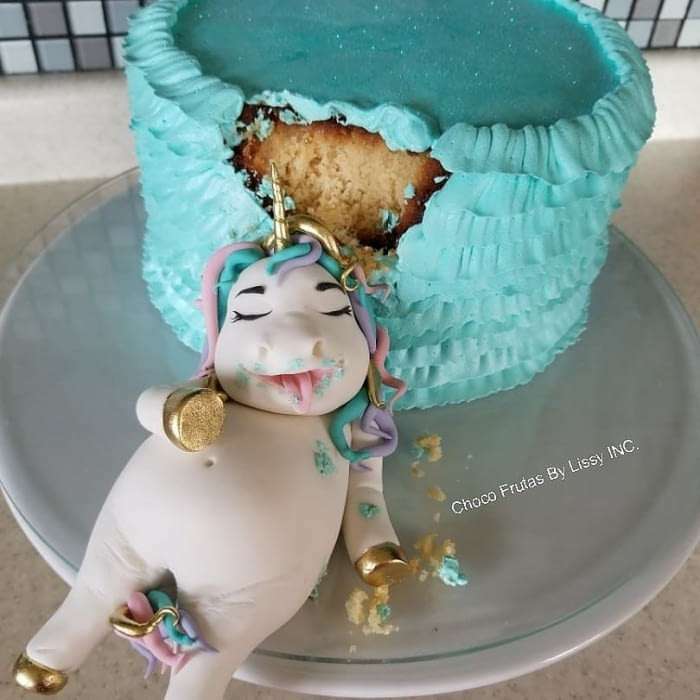 What is even more hilarious is the unicorn is appeared to take a nap after taking a bite of the cake! 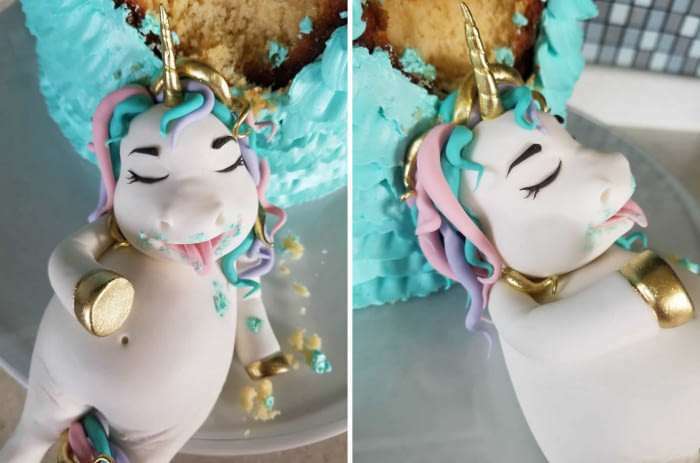 What do you think of these fat unicorn cakes? 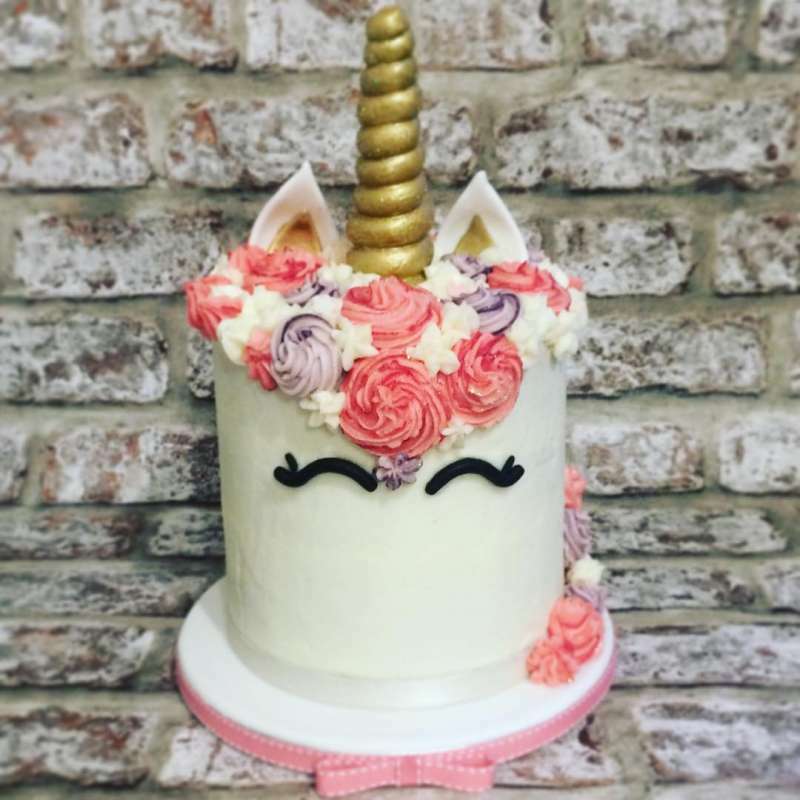 They could be a great birthday cake idea for your child’s next birthday celebration or even yours!